Want to quickly see how the open-source software Yacs works? You'll find a free and updated demo installation of Yacs here. We are currently updating the Yacs demo. Please check back shortly. There will be a new version up soon. 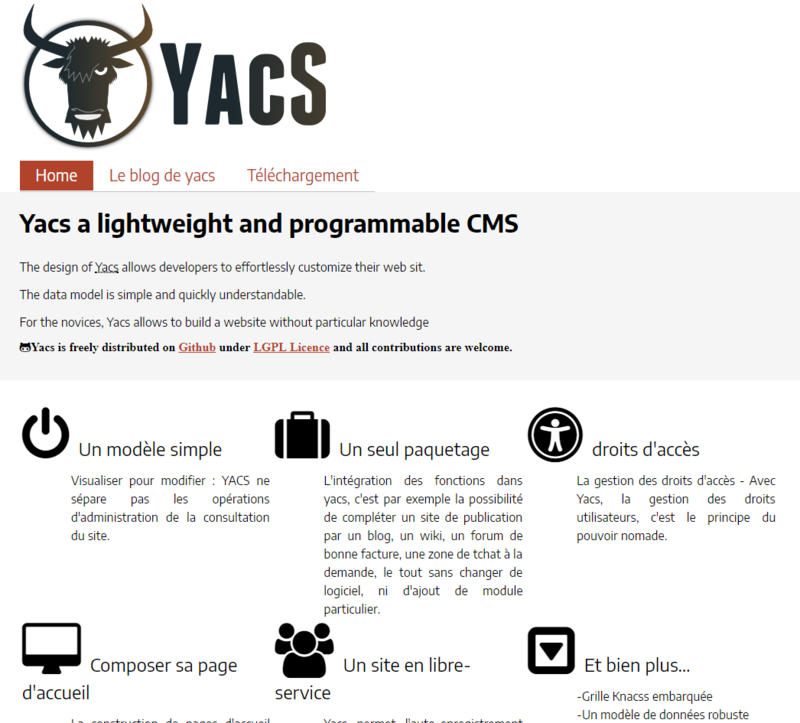 Yacs CMS is a free open source content management system developed using PHP and a MySQL database. It’s a lightweight CMS with an easy installation, that takes less than two minutes. If you want to see what kind of features it has to offer you can download it using the link below and set up your own Yacs CMS demo. Some of the features you’ll see in your demo site are user access management, forum and user registration. 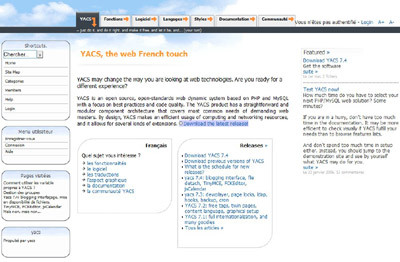 However, Yacs CMS has a modular component architecture which makes it easy to extend its functionality. The latest version available for download is Netgrabber.RC2 and was released on April 21, 2018.